Ken Rudin’s Political Junkie podcast is released each week on Thursday. As always, the program can also be heard on select local radio stations. Catch Ken regularly on these local radio stations for his analysis of the latest political news, and even an occasional trivia question. All days and times are subject to change. 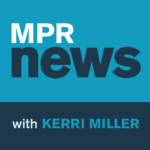 Ken joins host Kerri Miller on Minnesota Public Radio each week to discuss the latest in national politics. Typically airs Mondays at 9:06 am Central/10:06 am Eastern. Ken joins host Beth Ruyak on Capital Public Radio in Sacramento each week to review the latest political news in California and across the country. Typically airs Mondays at 9:06 am Pacific/12:06 pm Eastern; repeats at 7:06 pm Pacific/10:06 pm Eastern. 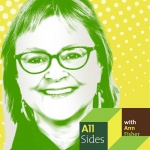 Ken joins host Ann Fisher on WOSU in Columbus, Ohio each month to discuss the latest political news across the country. Typically airs on the third Thursday each month at 10 am Eastern. 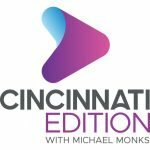 Ken joins host Michael Monks and local political reporter Howard Wilkinson on WVXU in Cincinnati each month for a full hour to chat about the latest national political news, and to offer an exclusive trivia question for live call-in participants. Typically airs once or twice per month on Thursdays at Noon Eastern. 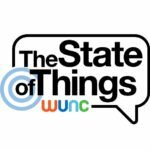 Ken joins host Frank Stasio on WUNC in Chapel Hill, North Carolina to review the latest in politics across the Tar Heel state and across the country. Typically airs once or twice per month on Fridays at 12:06 pm Eastern.